OTRSavings provide members when they are in the market for a new or used truck solutions with inventory across the country for you to choose from not only from sales but parts, service, as well as leasing. The brands you know in a wide range of specifications and applications and our partners can spec the right vehicle to meet your unique business requirements. For many private fleets, a full-service lease is the best way to meet your transportation needs. A full-service lease frees working capital, provides accurate cost accounting and professional transportation management. A full-service lease can provide a company with a myriad of services including preventive maintenance, emergency roadside service, safety and insurance programs, permitting and licensing, fuel programs and more. We have a wide variety of services available to meet your needs and requirements. Contact us for a personalized quote on truck discounts! OTRSavings can help you save when you need a new rig for your trucking business. 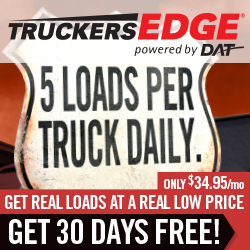 Let us be your source for new & used trucks!